As Burns himself wrote more than 200 years ago: "The best-laid schemes o' mice and men gang aft agley." And so it is with haggis and Burns Suppers. Puddings explode, catch fire and escape from their platters. Guests get drunk, disgrace themselves and insult their hosts - all in the name of Scotland's national dish and its most famous poet. 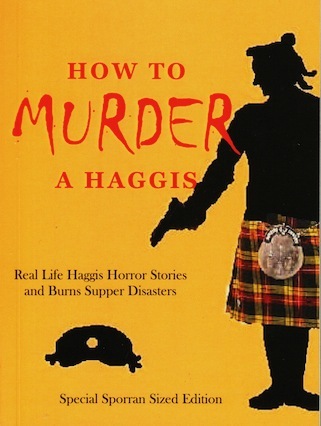 Glasgow journalist, Deedee Cuddihy interviewed hundreds of people and combed the internet and the print media for this essential Burns Supper companion which is a must-read for haggis 'virgins' and connoisseurs alike! Postage costs are £1.50 for UK Mainland delivery and from £3 for International delivery.